We'd heard before that Samsung had a mini version of the flagship Galaxy S5 in the works, and now comes word straight from the horse's mouth. 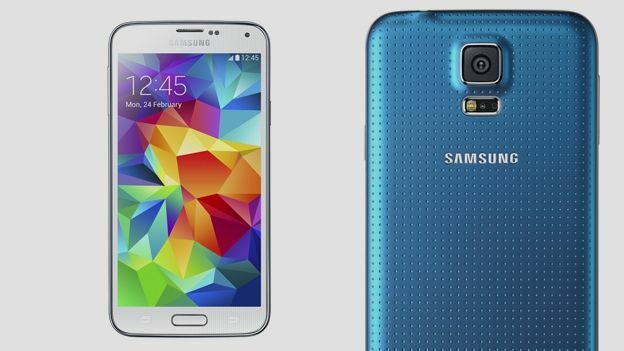 That's because Samsung has accidentally confirmed that a Galaxy S5 Mini is on the way. Oops. The slip comes courtesy of Samsung's Finnish site. It's launched a support page for a handset with the codename SM-G800, which is widely believed to be the Galaxy S5 Mini. That's not definite confirmation of course, but it's the closest we've come. What can we expect from the device? Hints point to a 4.5-inch 720p Super AMOLED screen, 1.5GB RAM, 16GB storage, a 2,100mAh battery, and an 8-megapixel camera. It's also thought to be water-resistant, just like the full-size S5. Another of Samsung's sites has previously mentioned a handset it calls the SM-G750, which is thought to be the S5 Neo. This is rumoured to have a 5.1-inch 720p screen, and a 2.3GHz chip. Samsung recently launched the Galaxy K Zoom – a smartphone with a 10x optical zoom for snapping photos from afar. It features the same textured plastic back as the S5, but has a slightly smaller screen. Seeing as Samsung dropped the S5 moniker for the Galaxy K Zoom – its previous zoom-equipped smartie was called the Galaxy S4 Zoom – we could see the S5 Mini launch under a different name.